Westwego, La. — The 9th annual Allstate Sugar Bowl National Prep Classic came to a close Saturday evening at the Alario Center. The day ended with three championship games on the main court, starting with the Boys State bracket. 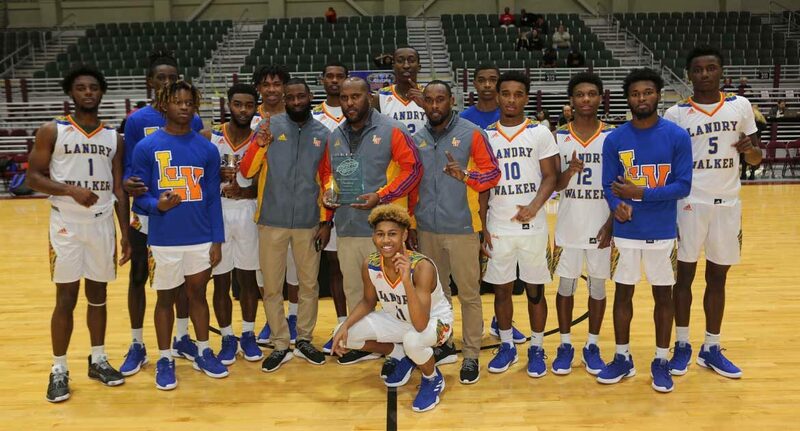 In that game, New Orleans’ own Landry-Walker, held-off Lafayette Christian Academy 51-50 in overtime. Torey Cargo led the Charging Bucs with 15 points, while Shadon Green finished with 8 and made the go-ahead bucket in overtime to earn him MVP honors. Javion Howard led the Knights with 14 points. The 10th Annual Allstate Sugarbowl National Prep Classic is being played January 2nd-4th, 2020 at the Alario Center in Westwego, LA. The event will feature 60+ girls and boys teams in five brackets.